There are some times in your life when relying on someone else’s word or assurances isn’t enough. When you need to protect yourself against fraud or deception, limit your risks, or create documents that affect your legal rights and abilities, the services of a notary public are essential. A notary public, also referred to as a public notary, is a state-licensed public servant who performs a variety of duties involving official or legal documents. 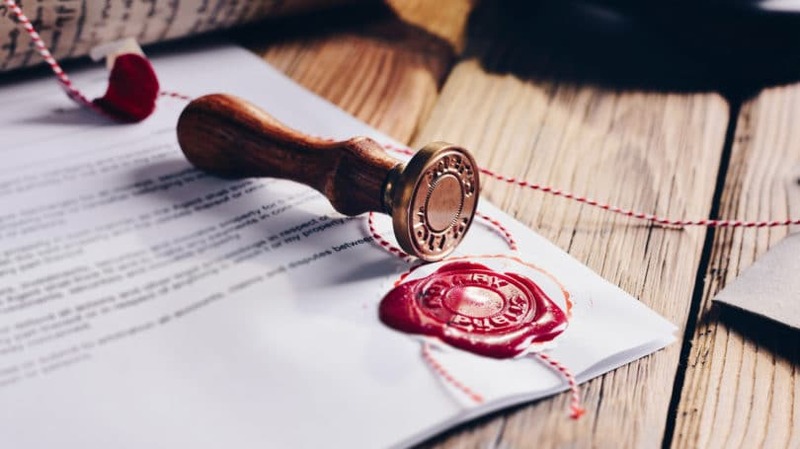 Notary publics can administer oaths, serve as witnesses to signed documents, take sworn testimony (depositions), and verify or certify official documents or copies of official documents. Notaries are public officers of the state and, as such, must be recognized and licensed by the appropriate state agency, typically the Secretary of State, before they can perform their duties. Every state has specific requirements for notaries public, and though these laws differ between states, they impose similar requirements. Here is the essential information you need to know about notaries public and their job responsibilities, requirements, and costs. Notaries public serve a variety of roles connected with the legal process. While all notaries must be licensed by the state in which they live or work, notaries are not state officials or state employees. Instead, they serve as public servants who provide an array of services they are authorized to perform under state law. Notaries serve the same general responsibilities no matter where you’re located, though state-specific laws outline the duties notaries must meet. Your state’s Secretary of State’s Office, local County Clerk’s Office, or similar government agency will be able to provide information on what notaries can and cannot do and in your state. Much of what a notary does involves verifying that a person signing a legal document is who they claim to be. This process is known as acknowledgment or witnessing, and there are three basic steps for notarization in these instances. Appearance. In most situations, anyone wishing to sign a document must appear before the notary in person. However, in some situations, the signer can sign the document outside the notary’s presence, bring the document before the notary, and affirm or acknowledge that the signature is theirs. Whether a notary needs to be physically present for the signing depends on the type of document being signed. For example, state law might require that a specific document, such as an affidavit, must be signed and sworn to or affirmed in the notary’s presence. With other documents, such as a last will and testament, affirming in the notary’s presence that you signed the document and did so of your own free will can be enough. Identification. Notaries public cannot acknowledge a document without each signer proving their identity. State laws differ in the kinds of identification notaries can use to verify this information, but common forms include driver’s licenses, state-issued ID cards, U.S. passports, resident alien ID cards (green cards), and similar cards or documents issued by a government agency that include the signer’s name, photograph, and other identifying information, such as address. Forms of identification that are not government-issued, or that do not have a photograph (such as credit cards or Social Security Cards), are typically not sufficient. Voluntary Signature. After appearing before the notary and proving their identity, each signer must sign the document and affirm that they do so voluntarily. A verification, sometimes referred to as a jurat or verification upon oath or affirmation, is similar to an acknowledgment. Verifications also require you to prove your identity to the notary before signing but add the requirement that you sign the document only after you give an oath or affirmation that the contents, representations, or statements you made in the document are truthful. When you sign the document, the notary asks you to raise your hand and swear or affirm that the document’s contents are truthful. Swearing to a document’s truthfulness involves pledging before a higher power that your statements are truthful, while affirming involves pledging to the truthfulness of your statements without any reference to a spiritual or religious power. Signers can choose whether they wish to swear or affirm based on personal preference. 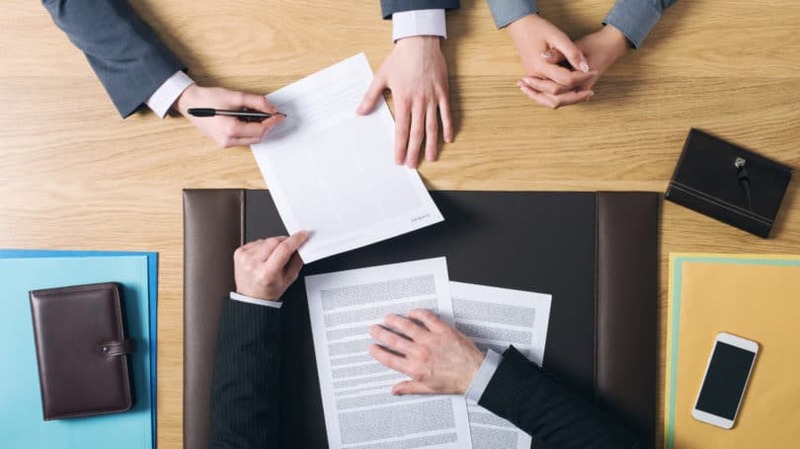 Some situations, such as testifying in a deposition, require you to make a verbal oath or affirmation without signing any document in the presence of the notary. Notaries are allowed to administer oaths and affirmations in these situations, and the process is identical to that used in a verification, except without the signature. Notaries public can certify that photocopies of certain documents are true and identical copies of the originals. These certified copies can then be used in lieu of the original for any necessary purpose. For example, if you’re a permanent legal resident applying for a job, and the job requires a certified copy of your green card, you can take your green card before a notary and have the notary make a copy and certify it. While notaries can certify a wide range of document copies, publicly recorded documents — such as corporate documents filed with a Secretary of State or transcripts of court proceedings — can only be made by the government agency that holds the originals. It’s important to note that a notary public is not a judicial official, attorney, or someone who can give professional legal advice or guidance. While licensed attorneys can become public notaries, becoming a licensed public notary does not give you the right to provide legal advice or guidance, prepare legal documents, or represent people before a court or in a legal proceeding. Notaries public can only provide limited, specific services. Providing professional legal advice or representation without being a licensed attorney is a crime. For example, if you want to write a last will and testament, you must have your will signed by two competent adult witnesses. If you have the witnesses sign in the presence of a notary who verifies their identities, you create what is called a self-proving will. Self-proving wills are important because when a court is asked to determine if your will meets your state’s legal requirements, the court can accept the notarized statements of the witnesses instead of requiring those witnesses to testify that they saw you make or sign the document. However, even if you have your will signed and witnessed in the presence of a notary, that act does not necessarily mean your will is legally valid. To be considered valid, a will must meet specific legal requirements, and notarization is not one of them. The notary cannot give you advice about whether your document is a lawful last will and testament, nor does notarizing the document guarantee that a court will accept it as legally valid. To be sure that your will, or any other document, is legal, notarization is not enough; you must make sure the document meets any relevant legal requirements. To be sure your documents are legally valid, you should contact an attorney for legal advice. If you want to become a notary, you’ll have to meet the specific requirements established by your state. These requirements differ between states but are generally similar. You can expect the process of becoming a notary to take at least four weeks, but possibly as long as 10 or more. To be eligible to become a notary public in any state, you must meet some basic qualifications. Age. You must be at least 18 years old. Citizenship. You must be an American citizen or a lawful alien resident. Literacy. You must be able to read and write English. Criminal History. In some states, you can’t become a notary if you’ve been convicted of any crime, while in others, you must not have been convicted of a felony. In yet other states, you must not have been convicted of any crime or any felony involving dishonesty, fraud, or deceit. For example, the crime of aggravated battery involves intentionally causing serious bodily harm to someone, while the crime of impersonating a law enforcement officer involves intentionally holding yourself out to others as a police officer. Being convicted of impersonating a police officer (if the crime was a felony and not a misdemeanor) disqualifies you from becoming a notary, while being convicted of aggravated battery might not as it doesn’t involve making false or dishonest claims. Voter Registration. Some states require you to be a registered voter in the county or state in which you want to obtain your notary license. Residency. Some states require you to live in the state in which you want to become a licensed notary, while some allow you to also be a resident of a bordering state. Others require only that you work in the state. No Prior Revocations. You can’t be a notary public if you’ve previously been a notary and had your license revoked. In a small number of states — California, Colorado, Delaware, Florida, Missouri, Montana, Nevada, North Carolina, Oregon, and Pennsylvania — you must complete a notary education course provided by a state-approved educator. The education requirements differ, but typically include three to six hours of classroom or online training. Class fees can cost $25 to $100 or more. A slightly larger number of states — California, Colorado, Connecticut, Hawaii, Louisiana, Maine, Montana, Nebraska, New York, North Carolina, and Utah — require you to pass a notary exam. Wyoming offers an optional exam, while Ohio allows local judges to determine if an exam is necessary. Some states require all notaries to submit to a fingerprint and criminal background check, while others make a background check optional or do not impose one. You must submit an application to the appropriate state government agency — typically the Secretary of State’s Office — to obtain your notary license. You may also need to include with your application a copy of any required licensing exam results, proof of residency, proof of citizenship or lawful permanent residence status, and a notarized signature. You also usually need to pay an application fee, which is typically in the $25 to $50 range. If you work for a company such as a law firm, your employer may be willing to cover this fee for you. After submitting your application, you’ll receive a commission from the state’s Secretary of State’s Office or the appropriate office that oversees notaries in your state. This commission details the date your notary license becomes effective and how long your term lasts and may contain other information, such as a notary identification number. Notary commissions are typically effective for a single term of four years but can last as long as 10 depending on the state. At that end of that period, you will have an option to renew your commission; if you don’t renew in time and your commission expires, you’ll have to obtain a new commission if you wish to remain a notary. Apart from your commission, you’ll need one or possibly two other basic supplies to perform notary services. First, you’ll typically need an official seal, a stamp you’ll use to mark or emboss any papers you notarize. Seals include various pieces of information, such as your name, the state in which you’re commissioned, your notary ID number, and the date on which your commission expires. Depending on the kind of document you’re notarizing and your state’s requirements, your seal may also include details such as the date on which the document was notarized and what kind of documents were used to prove the identity of the signer or signers. Apart from a seal, you may also need to have and maintain a journal or notebook. Notary journals are allowed in all states but only required in some. This journal contains a list of all documents you’ve notarized, the date and time of notarization, the date of the document, the kind of documents used to verify the signer, the signer’s address, and possibly additional details. A notary bond is a kind of surety bond or insurance designed to protect members of the public from mistakes a public notary might make. Most, but not all, states require notaries to have a surety bond for a specific amount, such as $10,000. To obtain a bond, you must pay a state-licensed insurer a small fee, usually between about $50 and $100, though possibly more. Though bond providers differ by state, you can obtain these bonds from your insurance agent, banks, or bonding companies. Your state’s Secretary of State office can also provide information on where to find licensed bond providers in your area. Once bonded, any member of the public who loses money as the result of your errors or negligence can be compensated by the bond issuer (the bonding or insurance company) for an amount up to the value of the bond. If this happens, you’ll have to pay back the bonding company for the money it paid out. Unlike surety bonds, which protect members of the public from a notary’s errors or negligence, errors and omissions (E&O) insurance is a type of professional liability insurance that protects the notary from any errors that might cause damage or result in financial problems to members of the public. For example, if you make an error when you notarize a contract that results in the signer losing the contract to someone else, you might be held liable (i.e., sued) for the money the signer lost. E&O insurance is designed to protect you from such losses. Without it, your personal assets might be at risk if you make a mistake, get sued, and lose. E&O insurance is not a requirement to become a notary public, but it is generally considered a wise choice for anyone who performs notary services. Many insurance companies — such as Geico, Nationwide, and Progressive — offer a variety of E&O insurance plans and will provide free quotes. You can search for these plans online or call insurance agents in your area. If you’ve never used a notary before, you may not know where to begin looking when you need one. Luckily, notaries public are fairly common, and finding one is simply a matter of knowing where to look. Depending on where these notaries are and your relationship to them, you may be able to use their services for free or for a discounted cost. Your Employer. Companies of all sizes have a regular need for notary services, and it isn’t uncommon for even a small company to have at least one employee who is a public notary. Ask your employer if your company has any notaries available or offers notary services to employees. Schools. College students sometimes have access to notary services. Academic departments, registrar’s offices, and legal aid offices often have notary services available to students or staff. Banks. Most banks and credit union likely have at least one, and usually several, notaries available. Some offer notary services to account holders for free, while others charge a small fee. Courthouses. Many state, county, and municipal courthouse clerks are notaries public. Similarly, librarians in county courthouse law libraries may also provide notary services. Government Offices. Some state, county, and city offices offer notary services to residents. Professional Offices. If you have a lawyer, their law firm almost certainly has a notary present or knows how to find one quickly. Similarly, real estate agents, financial planners, and insurance agents often have a notary license or have employees who do. Retail Service Providers. Some retail outlets, such as the UPS Store, drugstores, and supermarkets, make notary services available to customers. Independent Mobile Notaries. Many notaries offer mobile services and can travel to you to make notarization easier. You can find mobile notaries with an Internet search for notaries in your area. 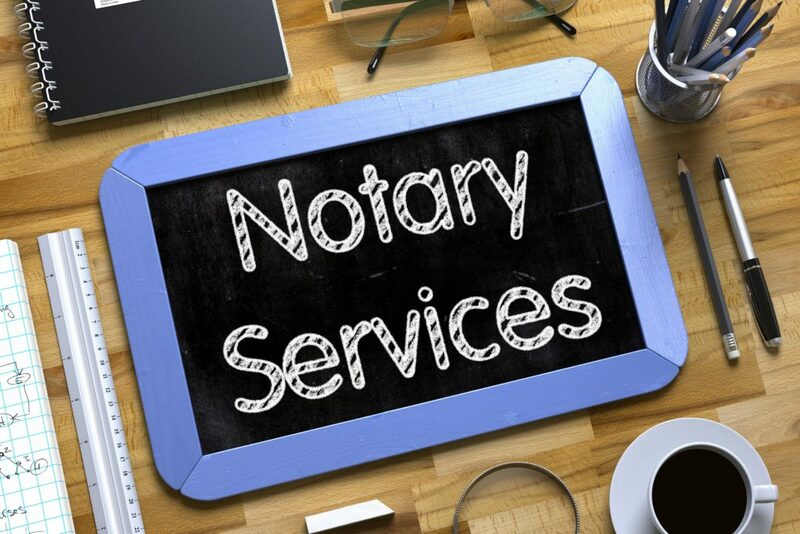 Notaries are allowed to charge fees for their services, though the prices can vary significantly and are often limited or preset by state law. Preset state notarization fees can range from $1 to $15 per signature. So, if you have a single document that requires four people to sign it and have their signatures notarized, and the notary charges $5 per signature, you’ll have to pay $20. In states where there are no limited or preset fees, notaries can set their own fees. Mobile notaries, or notaries who travel to your location, are also allowed to charge an additional fee for their travel. Some states have preset travel fees, such as $0.30 per mile, while others do not. In states without preset travel fees, notaries can set their own fees. If you haven’t already done so, you’ll probably have to use the services of a notary public at some point in your life. Knowing what this involves, what your responsibilities are, and what a notary can and cannot do will make things go as smoothly as possible. If you’re thinking of becoming a notary, the process is relatively easy and something that most people are capable of doing, and being a notary can even become a source of extra income or a basis for your own business. Have you ever used the services of a notary public before? Are you a notary yourself? Mark Theoharis is a former attorney who writes about the intersection of law and daily life, covering everything from crime to credit cards. He mostly writes for legal publishers, marketing agencies, and law firms, but gets the occasional chance to publish fiction. When he is not writing, Mark restores vintage and antique typewriters, though his editors have made it quite clear that typed submissions are strictly prohibited.